Home›News›JAMB To End 2016 Registration 29 Jan. 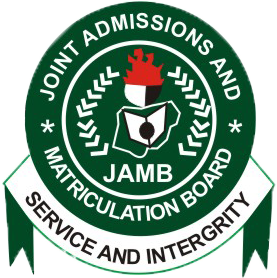 The Joint Admission for Matriculation Board (JAMB) has said that the sale of application documents for this year’s examination would close on Friday, January 29 and the website will subsequently be shut on Friday, February 5. The board further informed that the Unified Tertiary Matriculation Examination (UTME), will be conducted between the end of February and March, no exact date has been fixed. NAN reports that the deadline notice was contained in a statement issued by the board’s head of media and information, Dr Fabian Benjamin, made available in Lagos. According to the statement, JAMB has put necessary machinery in motion to conduct the 2016 UTME. Benjamin stated that the all Computer Based Test (CBT) mode examination would be held in more than 400 centres within and outside Nigeria. The statement reads in parts: “JAMB has approved more centres in order to give Nigerians the best computer based test ever conducted in a large scale by any public examination body. The Board insisted that these centres must meet best global requirements. Some of the requirements are steady power supply, minimum of 200 computers, including Uninterrupted Power Supply (UPS), accessible road, security must be guaranteed and the hall must have a waiting room. JAMB is responsible for the conduct of the UTME for admission into the nation’s public and private tertiary institutions.